Club Penguin Cheats by Mimo777 Club Penguin Cheats by Mimo777: New Igloo Music! 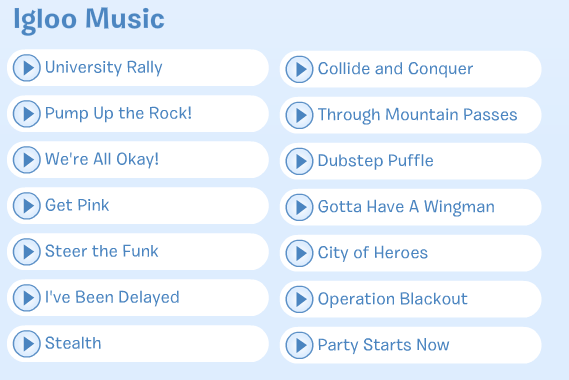 Club Penguin has decided we need new music if we will soon be partying like college students with fraternities and sororities. Do you have a favorite new tune? I'd love to hear what you think about the new "University" theme CP has for us? ive been delayed is cps oldest song. its been around since penguin chat. They're using I've Been Delayed again!